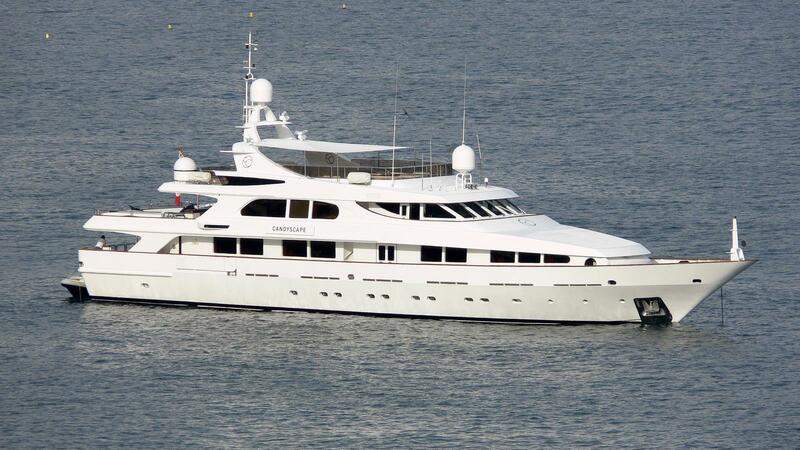 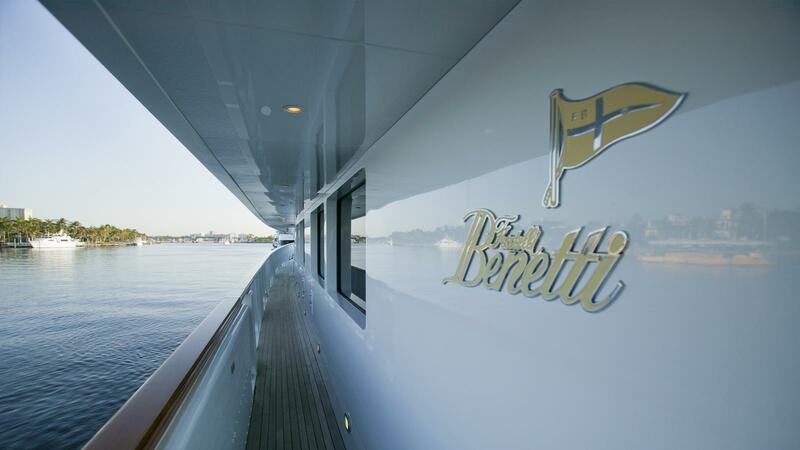 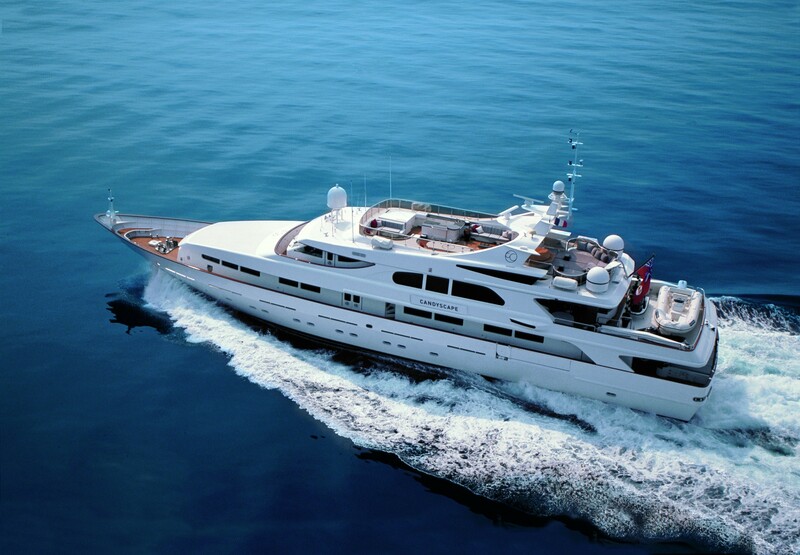 Motor yacht IL SOLE (ex Candyscape) is one of the finest yachts built by Benetti. 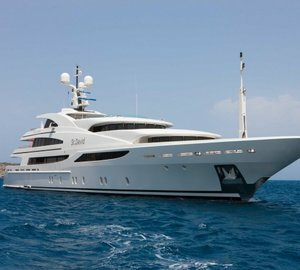 With an interior refit in 2005 combined with being meticulously maintained regardless of cost, IL SOLE is sure to impress. 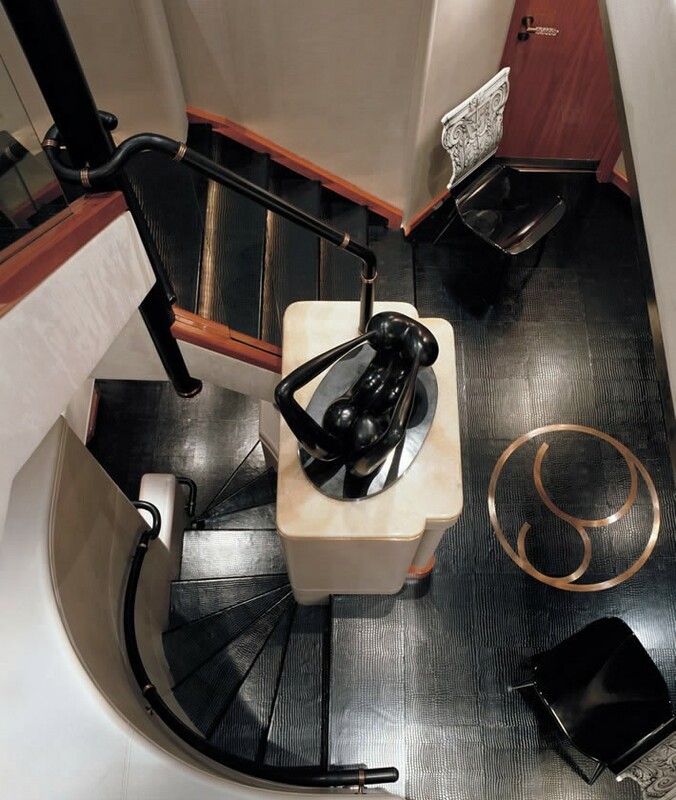 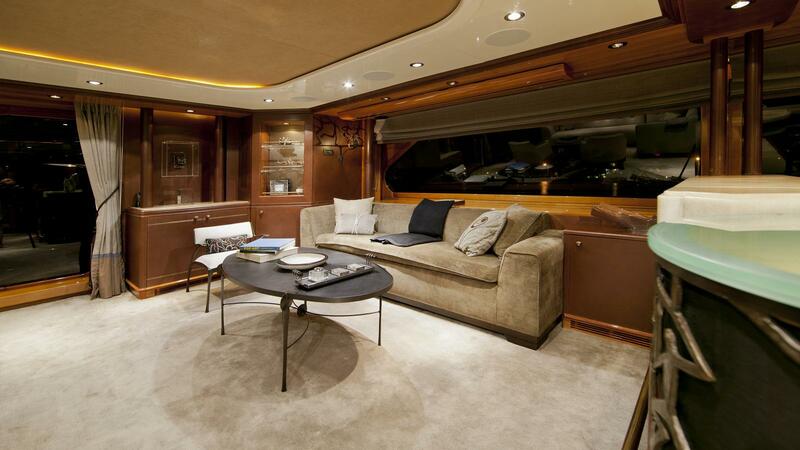 Her modern interior designed by Candy and Candy offers both fine elegance and stylish comfort. 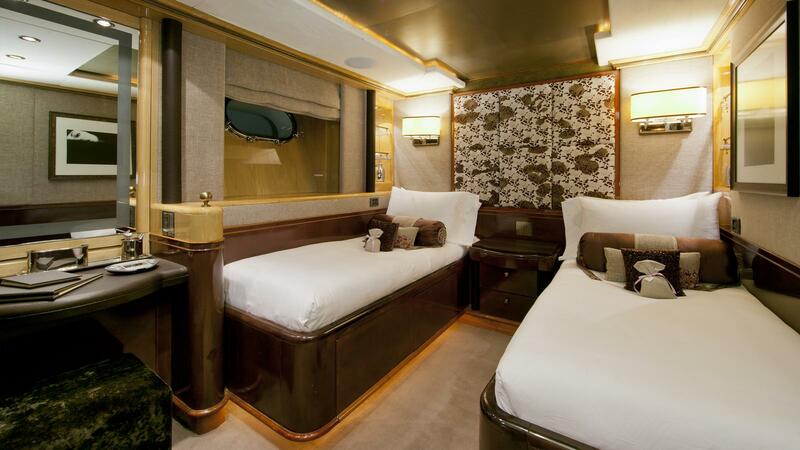 She accommodate 12 guests in 6 great cabins. 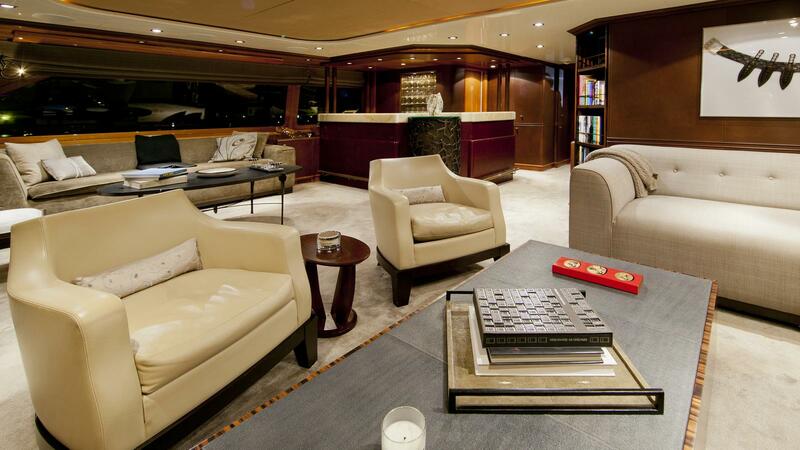 The Main Saloon of motor yacht IL SOLE is equipped with a vast and impressive entertainment system including a pop up flat screen television. 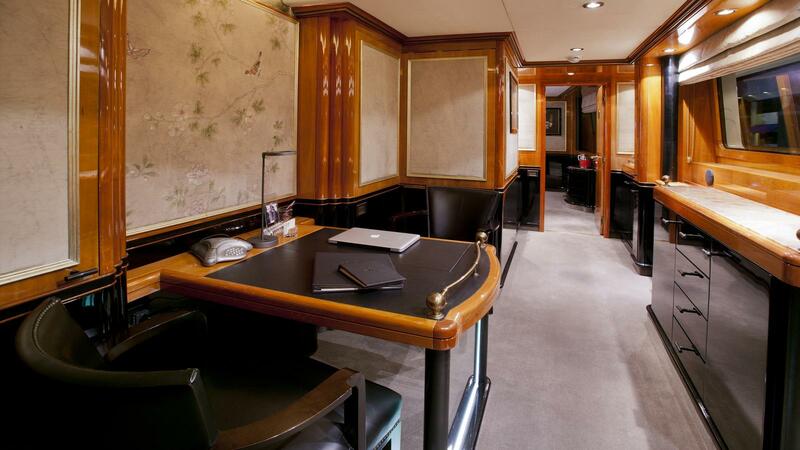 There is also an office incorporated on this main deck – adjacent to the main saloon. 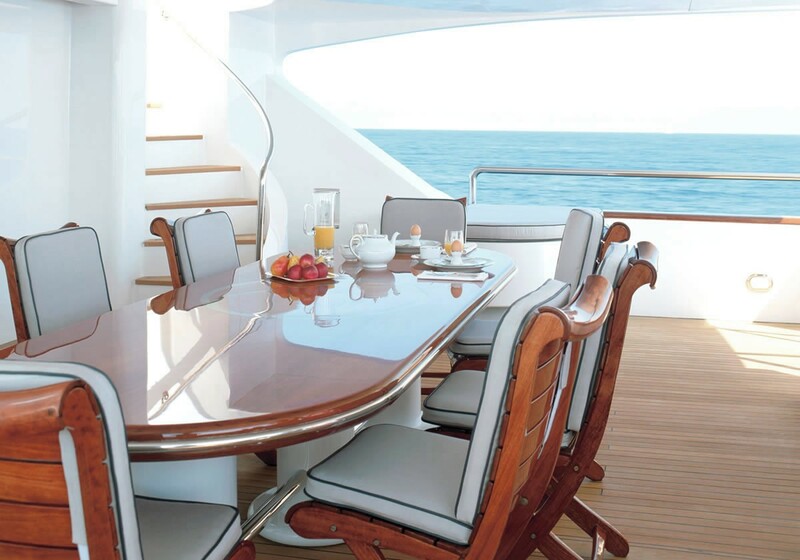 The dinning room offers a more formal setting for 12 guests to enjoy the 5-star service and cuisine prepared just for your tastes. 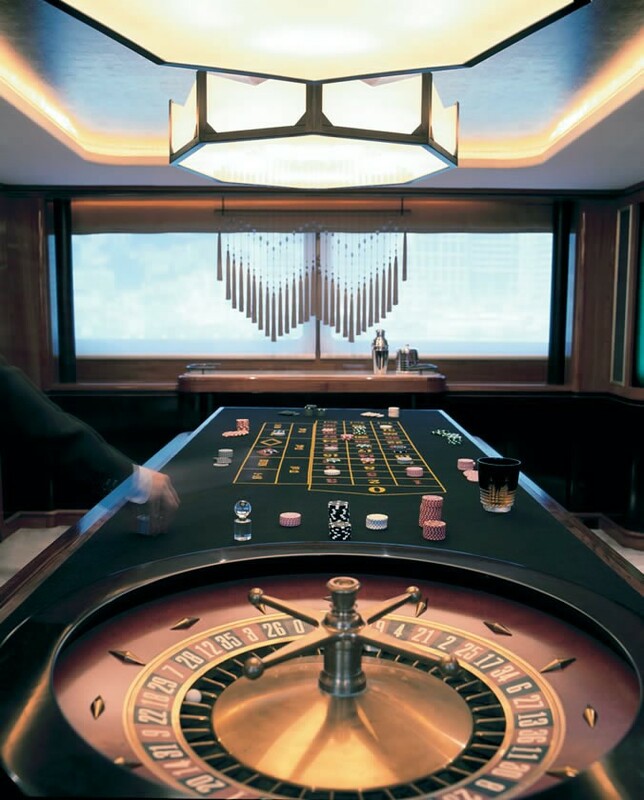 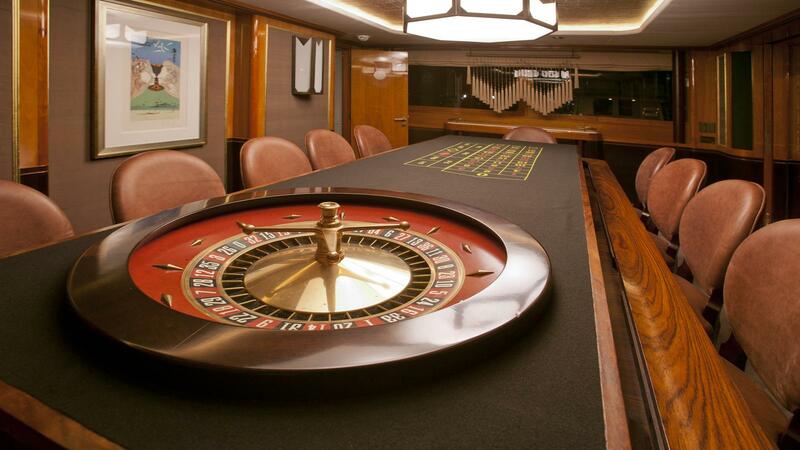 The large dining table can be converted into a roulette table later in the evening. 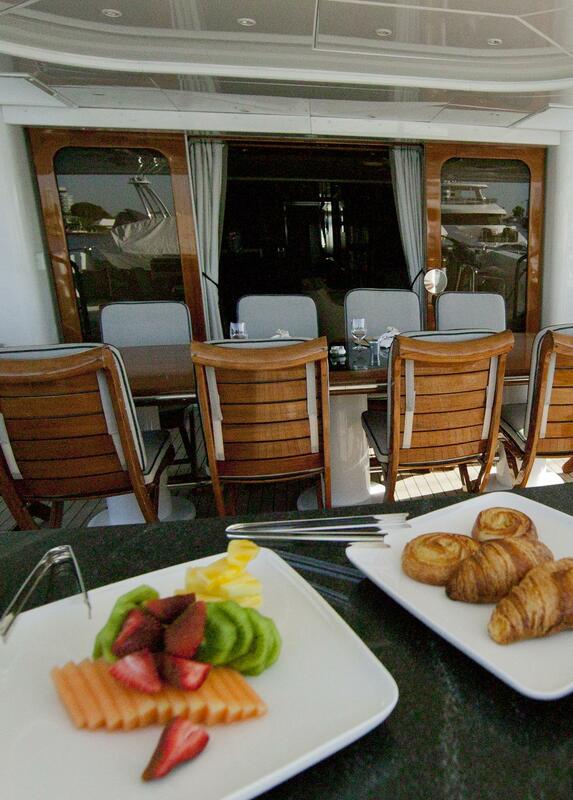 For a more relaxed atmosphere, there is always the option of alfresco dining on IL SOLE's beautiful aft deck able to seat up to 12 guests. 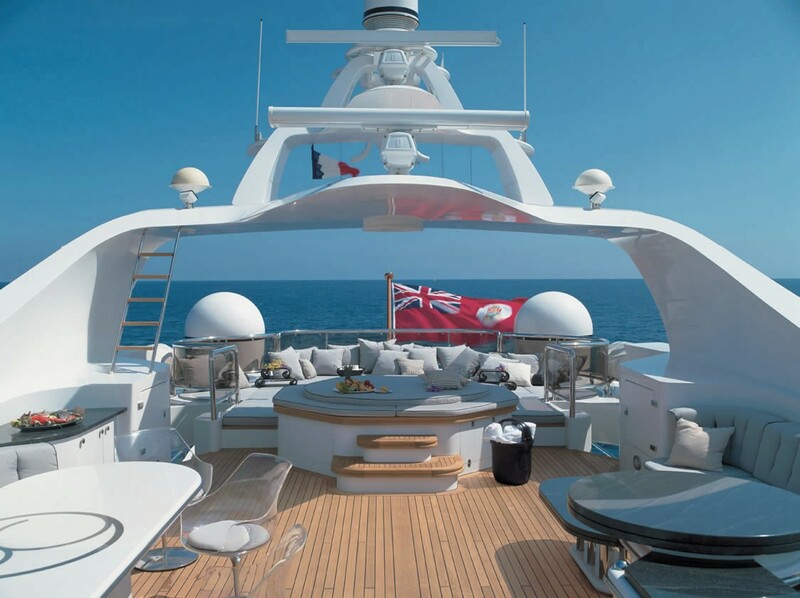 On the upper deck relax while sitting at the round table and enjoy the aromas coming from the BBQ while the chef prepares the catch of the day. 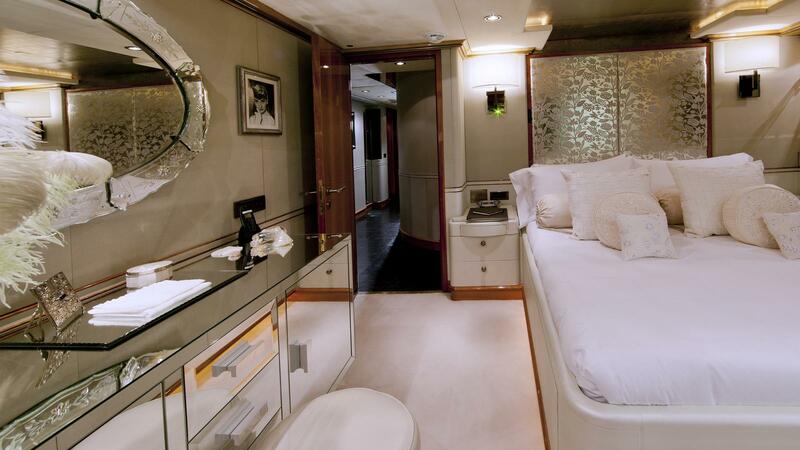 Also on the top deck is a bar and dumb waiter enabling easy access to the galley. 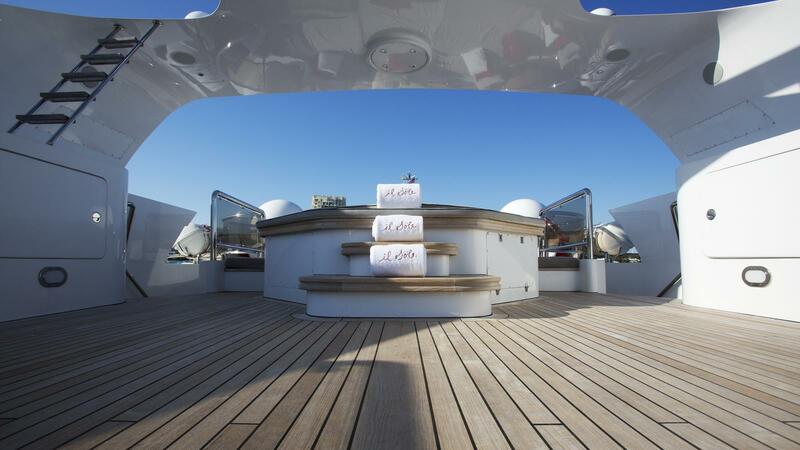 The upper deck boasts a Spa Pool and vast amount of sunbathing areas perfect for enjoying front row seats to the gorgeous Mediterranean views. 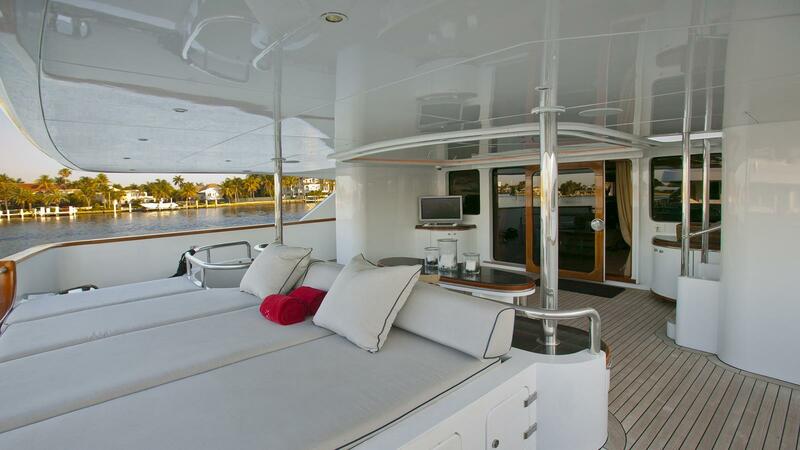 The jet skis and tender are housed aft of the bridge deck however once in the water provide even more space for relaxation or entertaining. 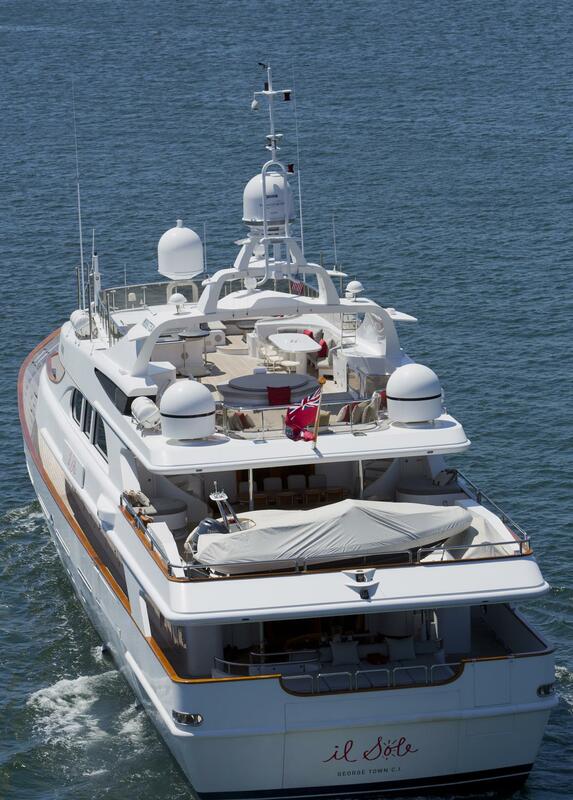 IL SOLE has a professional multinational crew of 10. 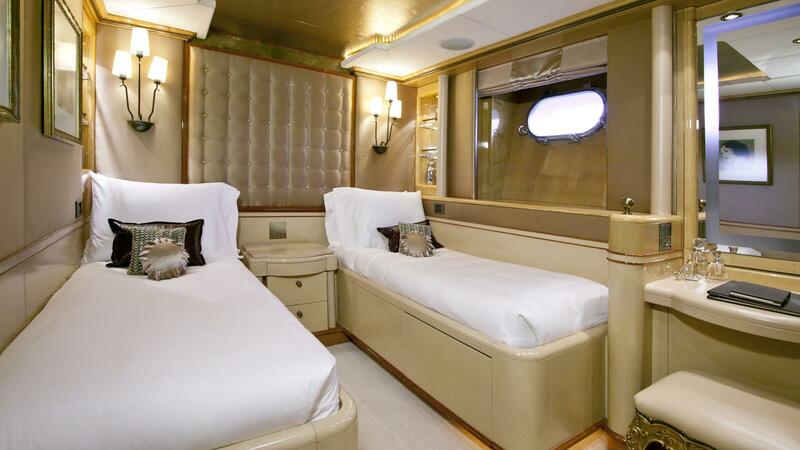 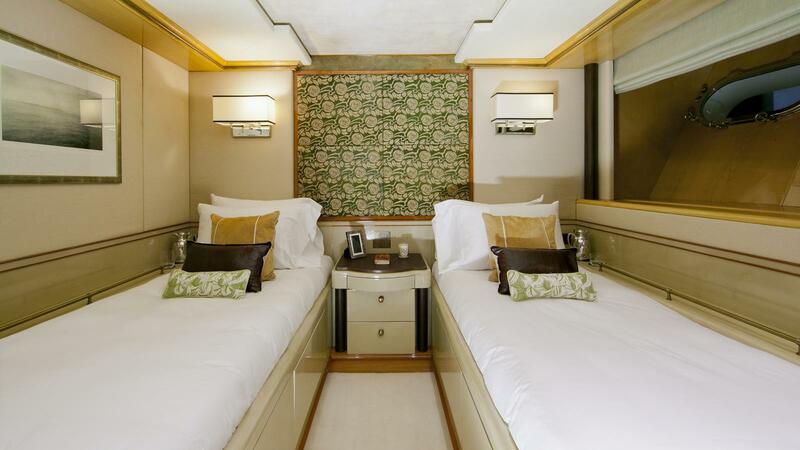 Motor yacht IL SOLE (ex Candyscape) can accommodate 12 guests in 6 luxurious cabins. 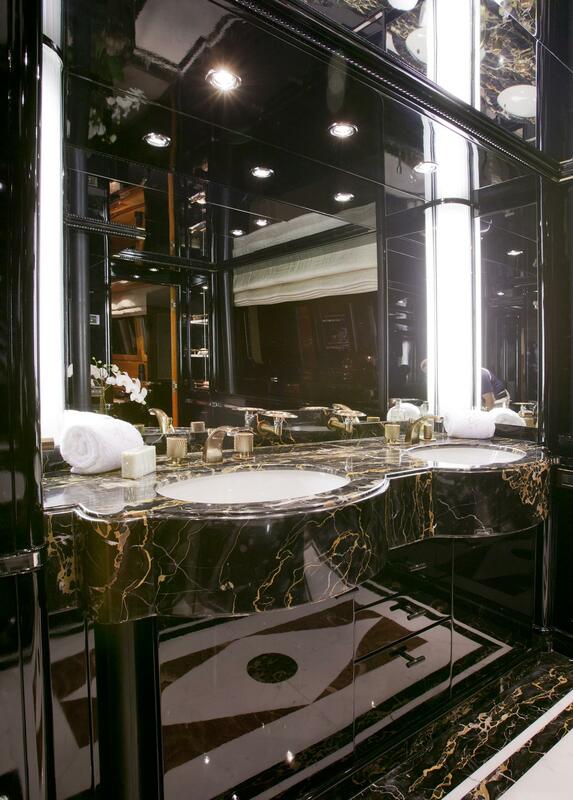 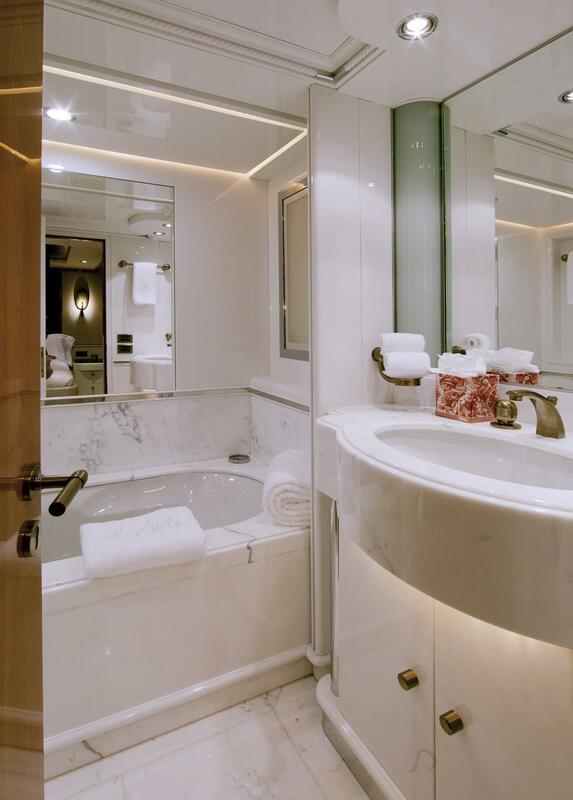 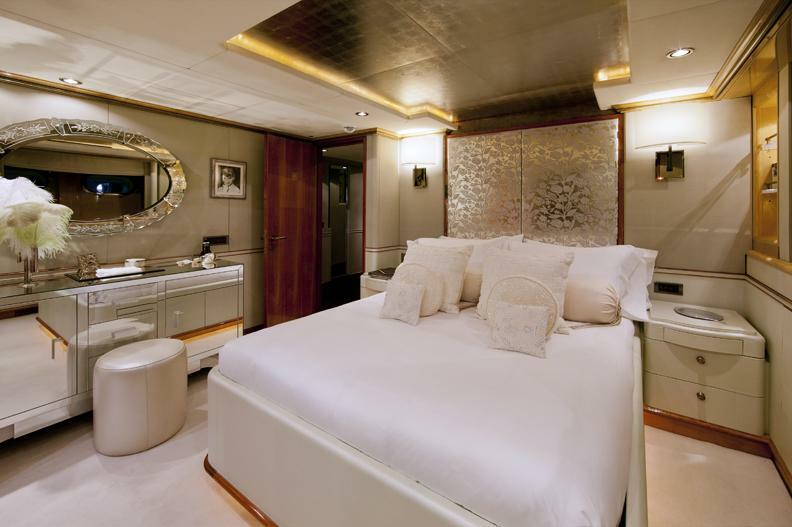 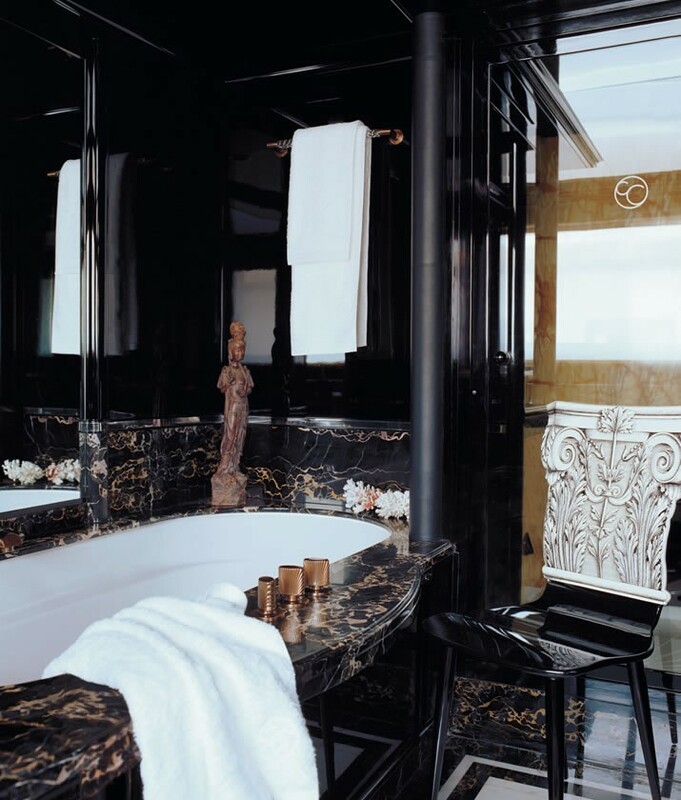 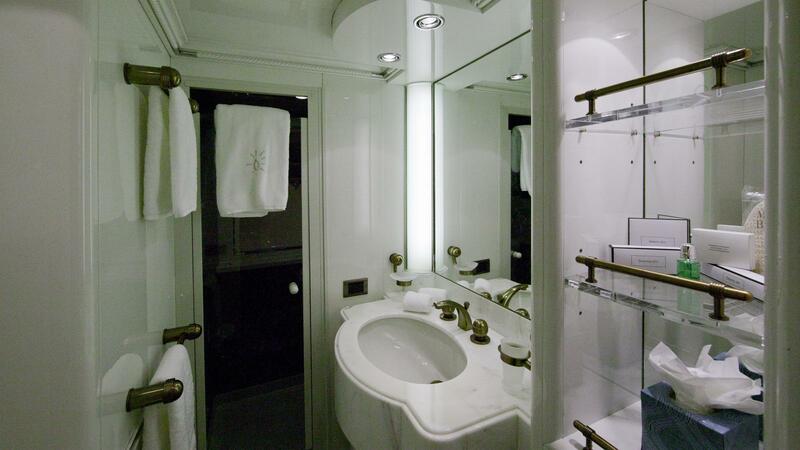 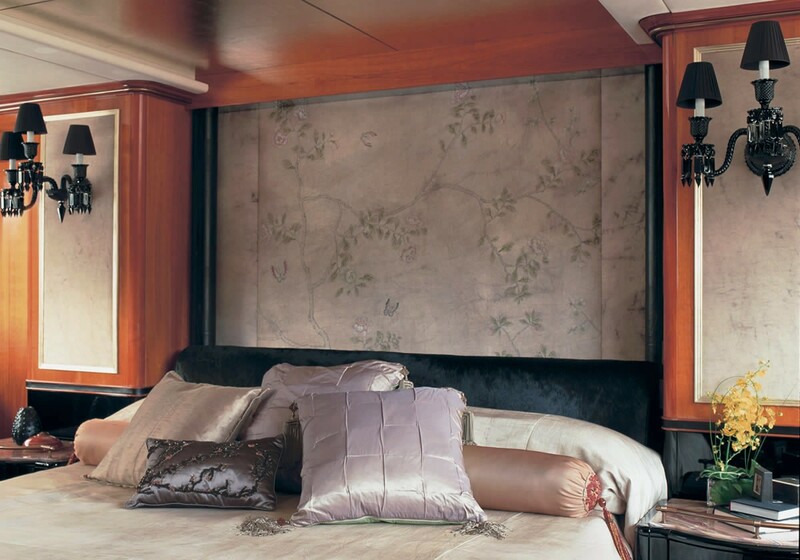 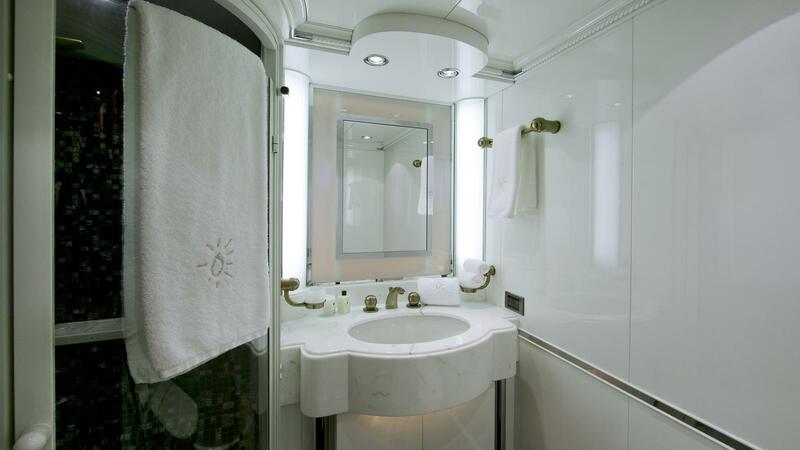 The owners master stateroom is located on the main deck and is equipped with an office and large ensuite with Spa Pool, finished in marble. 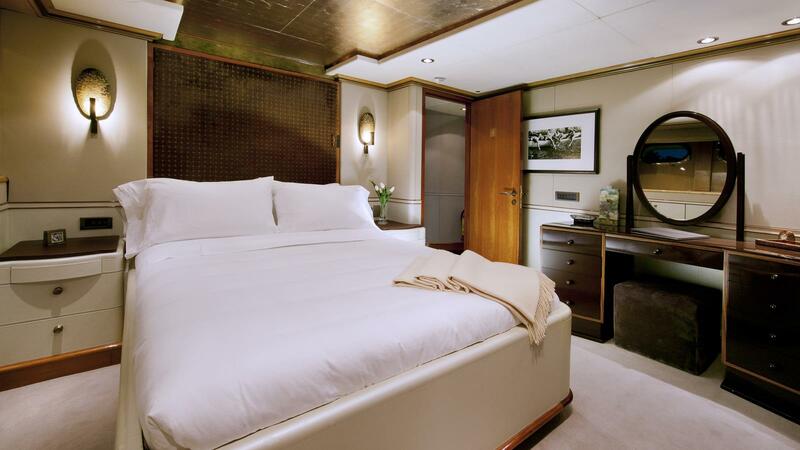 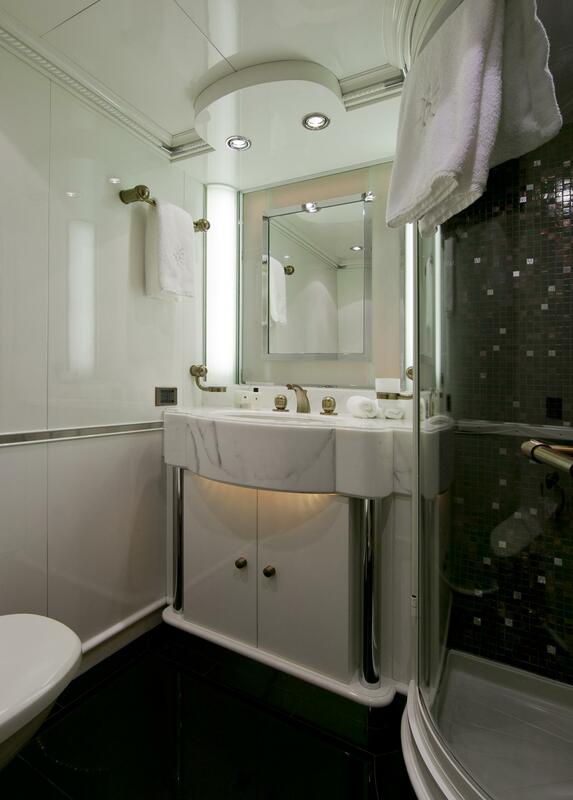 The remaining 2 double and 3 twin staterooms are situated on the lower deck and all have ensuite facilities. 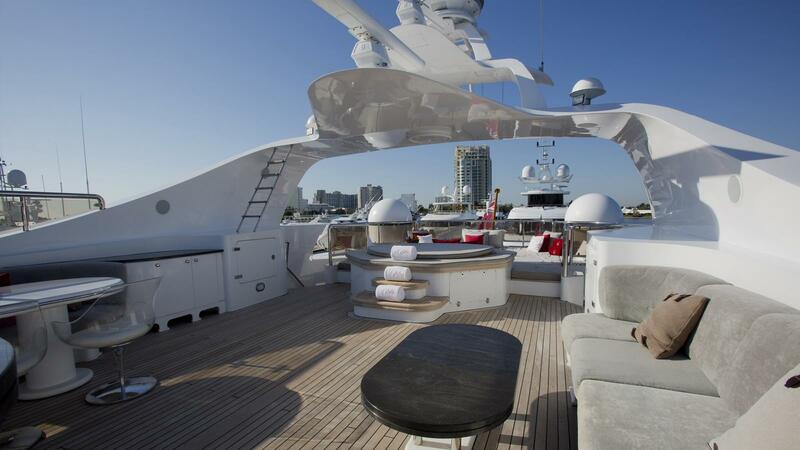 IL SOLE is a modern yacht with all the extras and amenities to match. 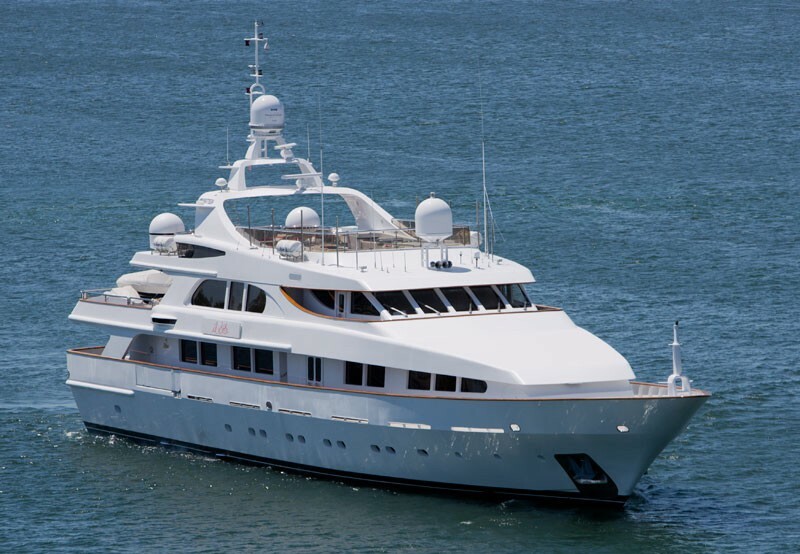 Her Communication equipment includes 1 x SAT C Thrane & Thrane, 1 x Mini M Thrane & Thrane SSB 1 x Icom IC – M710 , VHF 3 x Sailor C 401, RT 2048, 2 x portable ICOM ICM1, 2 x portable ICOM GMI500F – GMDSS compliant, GSM voice + data Nokia premicell, Land line 1 x landline and fax line, Intercom Panas and WIFI broadband. 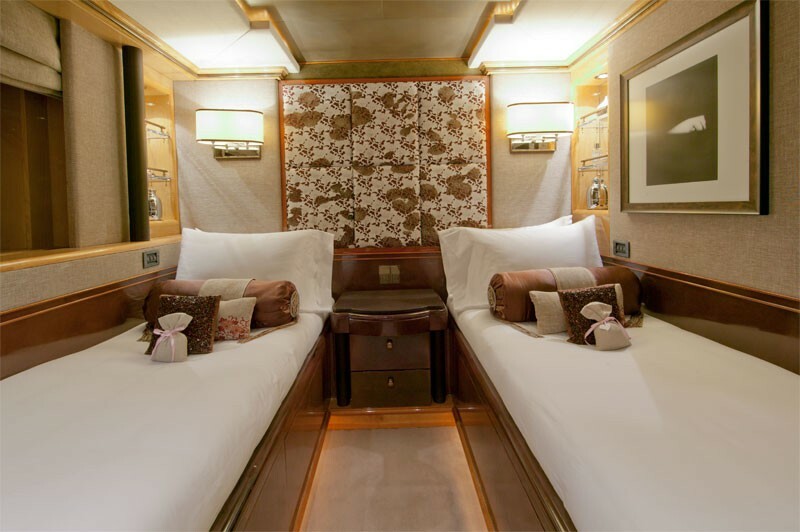 Her Audio Visual Equipment and Deck Facilities consist of a Flat screen TVs, VCRs, CD players, radio, Sky Digi Box in all cabins and main saloon, Full media room and large flat screen TV situated on the Upper deck. 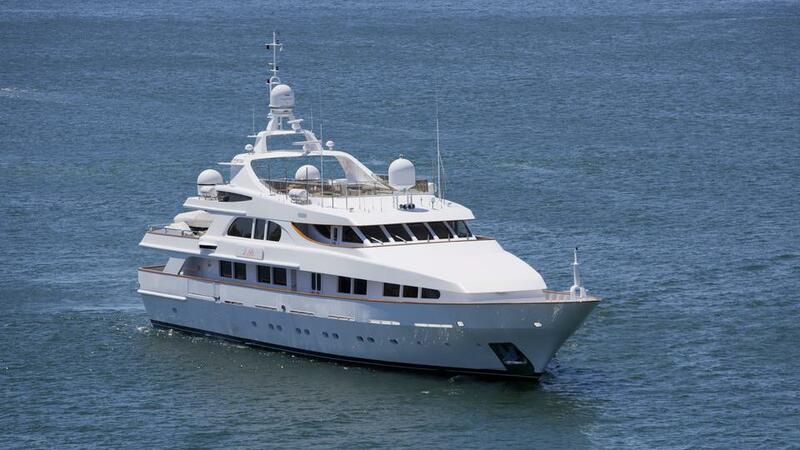 Broadband internet access. 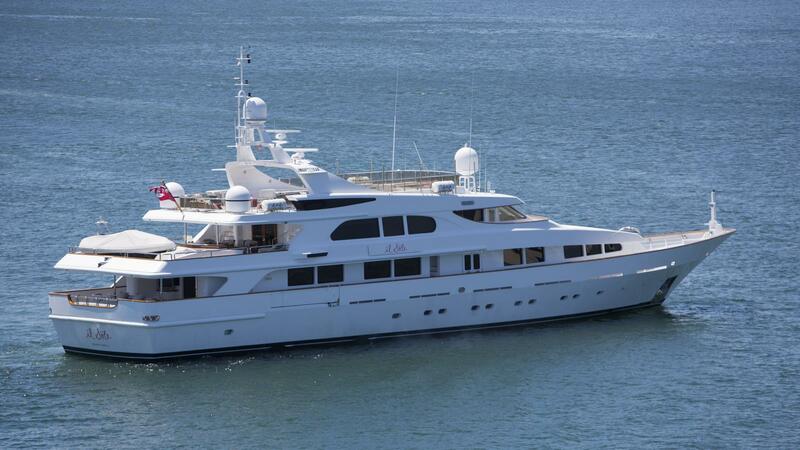 For those wanting to have some fun IL SOLE (ex Candyscape) has the following Tenders and toys, 1 x Nautica Deluxe 6.5m R.I.B. 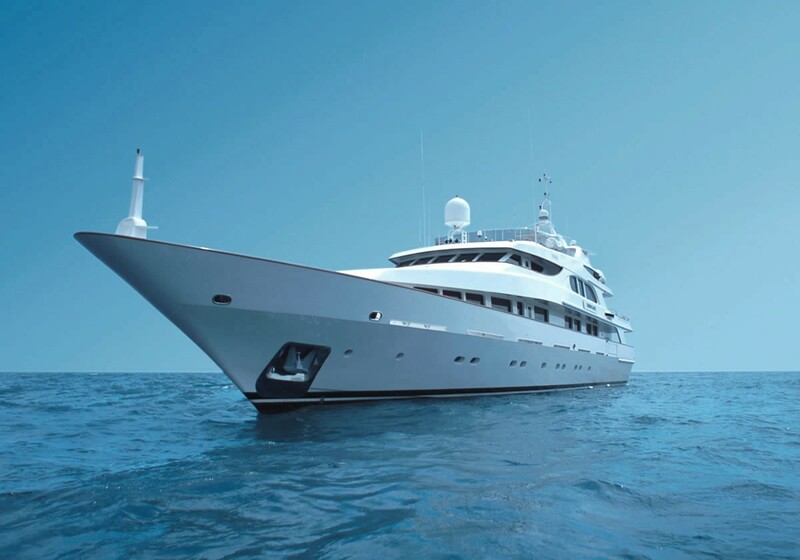 with 225 Hp Yamaha Centre console Diving compressor 2 x jet skis Yamaha 1,200cc 2 x kayaks 1 x set of water skis Nitro 1 x slalom water-ski Connelly 1 x scurf ski board Connelly, 2 x towing donuts, 4 x scuba equipment (Rendezvous diving) and plenty of Snorkels and flippers.